The tubers were all small to begin with which I think makes the harvest pretty amazing. 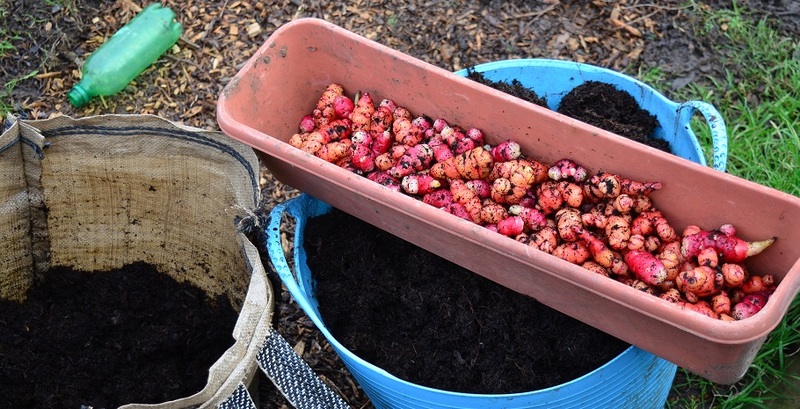 They were part of an oca pass the parcel set up by a very generous person on the allotment forum. Both sets were fed initially and at 6-8 week intervals with Supagro or Growmore. I had 6 tubers in the navy bed. I forgot to weigh the harvest from the first 2 plants, but the remaining 4 gave 2.625kg. They were planted out in July 2014, so possibly quite late, and were not earthed up. They caught up with the ones in the bag really quickly. There were lots of tiddlers as well as larger ones and a fair bit of slug damage. The pink/white are rounder, fatter and bobblier, and the peach are more elongated. 4 tubers were planted in a spud bag at the end of March 2014 and the plants earthed up as they grew. 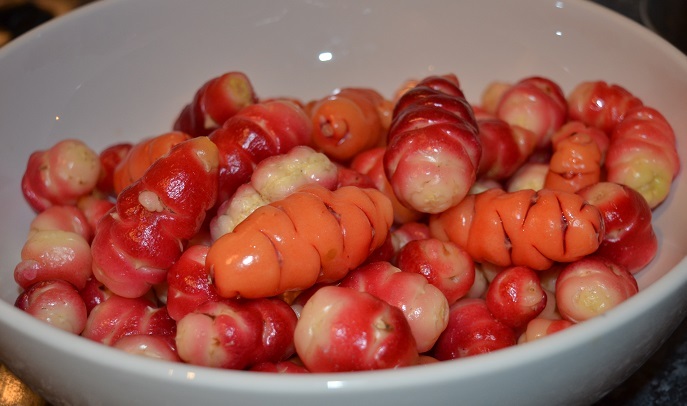 The tubers were consistently larger but the harvest was 2.2kg. They were all the way through the bag, nearly to the bottom and much easier to clean than the ones in the ground. BUT there were a lot more damaged tubers – there were slugs, snails and the compost also had lots of what looked like vine weevil grubs in it. Squashed as many as I could see. 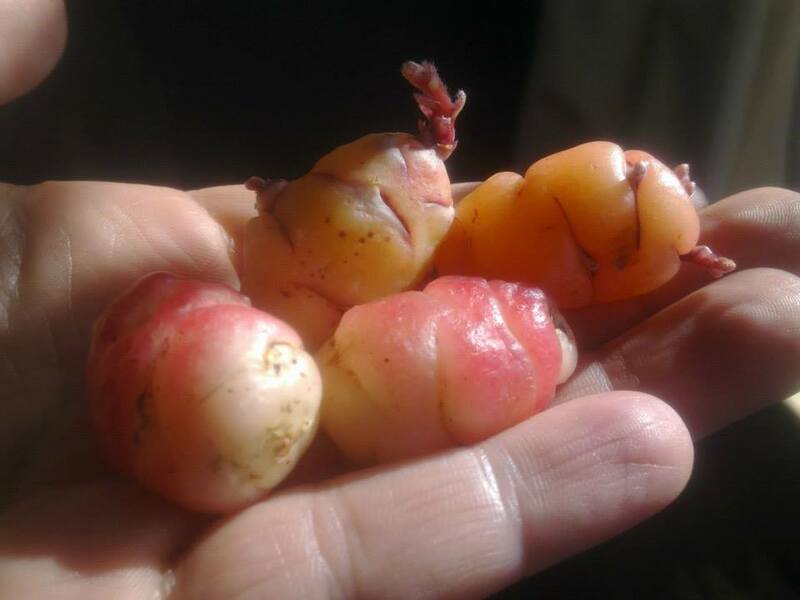 I’m going to keep 10-12 of the larger tubers for this season, hoping to get more larger ones as a result, though the smaller ones are really tasty raw.